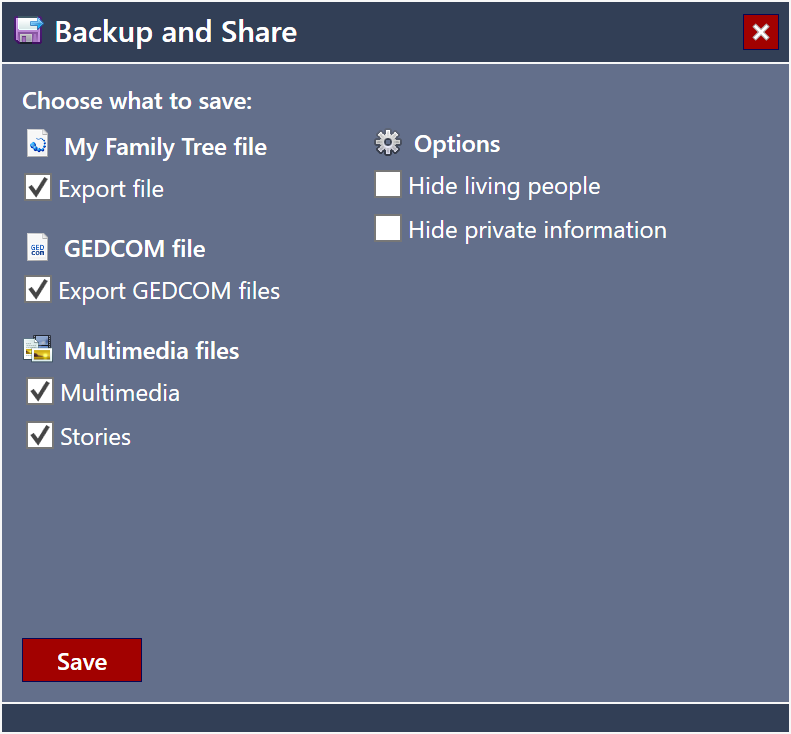 The Backup and Share tool helps you to make a copy of your family tree file along with separate copies of all multimedia and stories embedded in the file. First you need to choose where to store the backup. It can be saved in a folder on your computer or on an external storage device such as a portable hard drive or USB flash drive. Choose a backup location with a short path and lots of free space to ensure that the backup can be generated successfully. 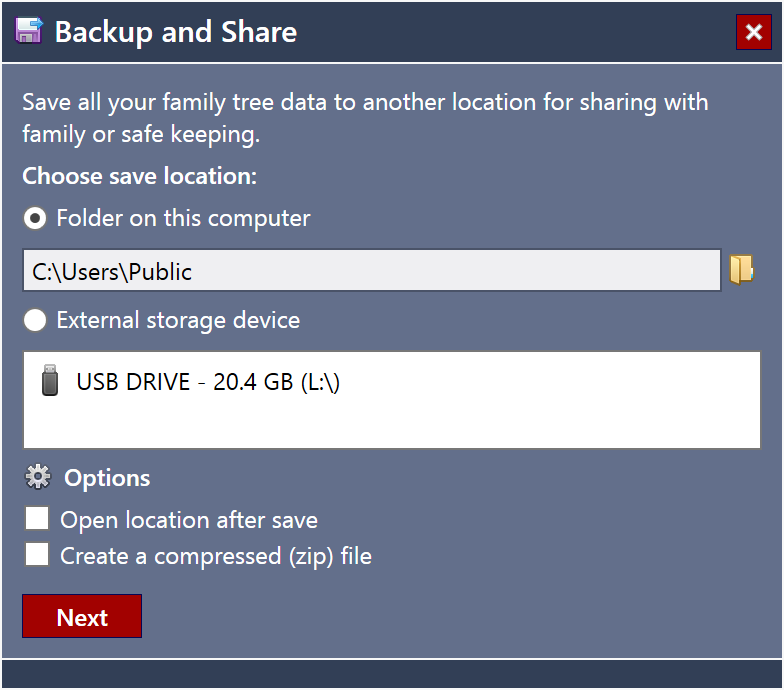 You can optionally compress the backup to .zip format to save disk space and make sharing more convenient. Fig 1. Choosing a backup location. The backup can contain a variety of optional components outlined below. Includes a copy of the current family tree file. Includes the current family tree in GEDCOM 5.5.1 format with Unicode (UTF-8) encoding. This option is ideal for ensuring that you will always have a copy of your data in a form which can be imported into other applications. Includes all multimedia and stories embedded in the family tree file. Fig 3. Choosing what to include in the backup. You can use privacy options to remove personal details of living people or people who have been marked as private within My Family Tree. Selecting the "Hide living people" option prevents export of all information about living people apart from their surname. Selecting the "Hide private information" option prevents export of any information marked as private.